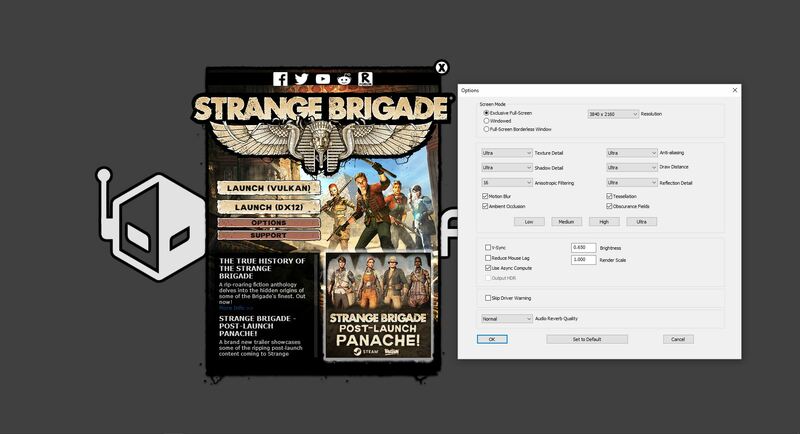 When Strange Brigade launched it flew under my radar, until Radeon put up a performance post that caught quite a few site’s eye and mine as well by announcing that with their Radeon Software 18.8.2 there came along mGPU capability with the game under the Vulkan API. We’re more than familiar with Radeon’s great performance under the Vulkan API so I had to pick up this game, if for nothing more than to test out how well the mGPU actually works. 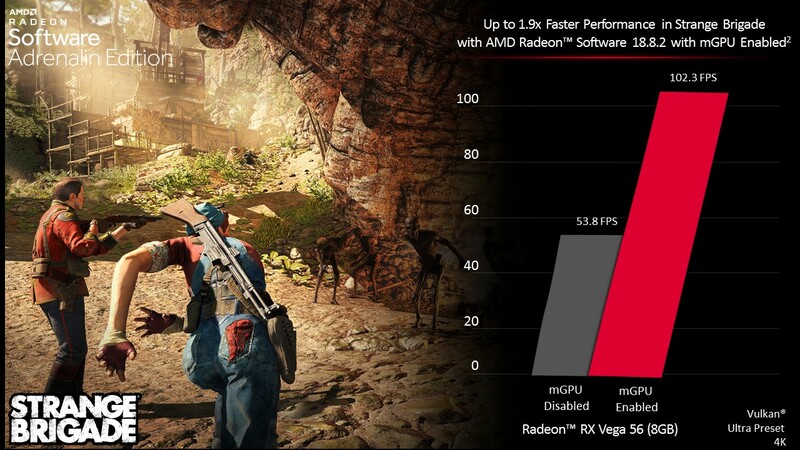 I was expecting to see optimizations for Radeon since it’s part of their current gaming bundle with their graphics cards but finally seeing a game launch with mGPU capabilities under Vulkan is something great. 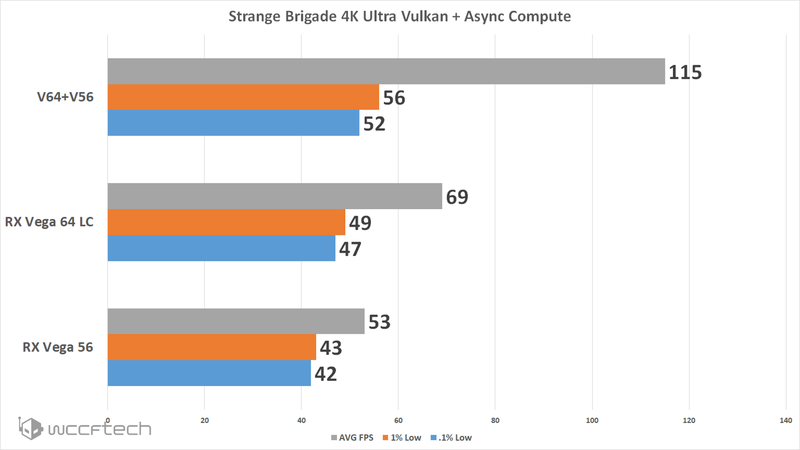 In a time where CrossFire and SLI seem to be less of a concern for developers and people wondering what the future held for such technologies since DX12 and Vulkan handle this very differently than DX11 and earlier APIs did, this is a breath of fresh air. We chose not to do 100 plus tests just to see whether or not it worked, we did settle on putting the hurt on the cards the best we could. That’s why we went all out with 4K Ultra settings with Async Compute enabled, more games need to have this level of control in games. We used the in-game benchmark to ensure repeatability of the runs and captured the results using the latest version of OCAT, then putting those results in our custom program that extracts the 1% and .1% lows so we’re not just looking at averages. 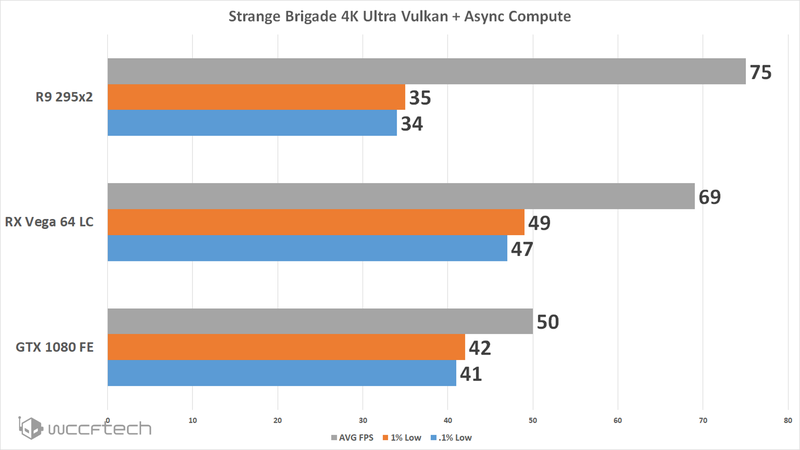 While the RX Vega 64 LC and the RX Vega 56 paired up to have pretty mind blowing results at 4K Ultra we still see evidence of that multi GPU headache of seeing the lower end be more reminiscent of what you see with a single card. I am happy to report that the game was not stuttery at all and stayed really smooth. The R9 295×2 was worth reviving from it’s tomb for this test, after all it’s not often mGPU support shows up these days. Mt Vesuvius did not disappoint! While it didn’t blow us away on the lower frame rate spectrum, seeing it walk way past the other cards on this list was very impressive. *EDIT* We did receive confirmation that mGPU is functional with GeForce GPUs, but you’ll need to pair the same cards (i.e. GTX 1080 + GTX 1080). I know there are many wondering where our GeForce results are in this. Well, we tried but unlike what Ashes of the Singularity that lets you mix and match GPUs in their DX12 API, this one isn’t so forgiving. We don’t have two of any of the GeForce cards in house, but did try to pair the GTX 1080 and GTX 1070 to no avail besides I’m fairly certain the driver is going to have to support this feature more than the game. We never intended for this to be a Radeon vs GeForce topic so we’ll stop it there. The ultimate point of Vulkan supporting mGPU in this title is more than just marketing, it works and works well.